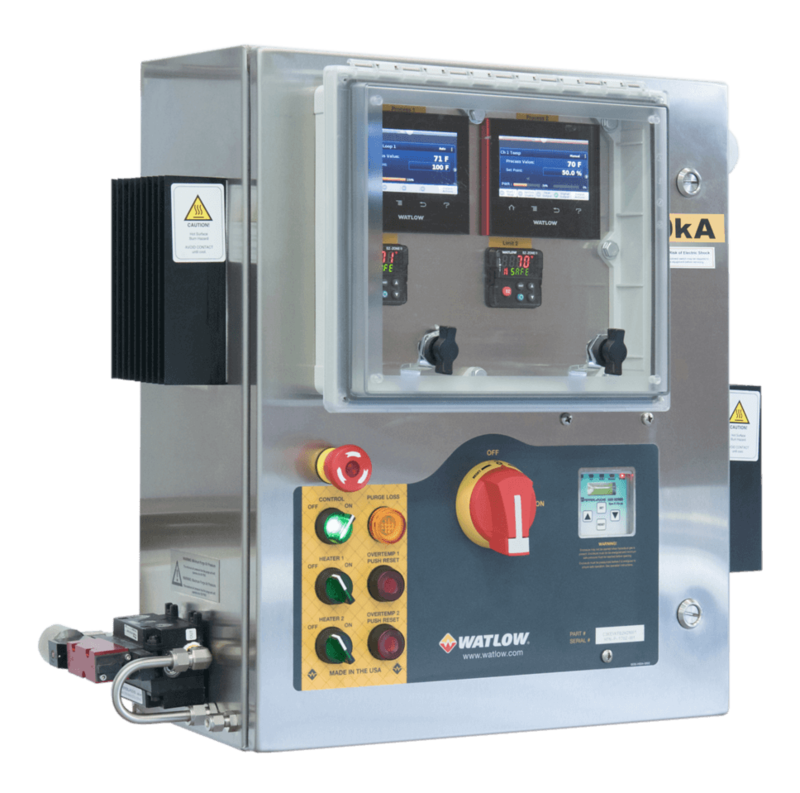 Watlow offers WATCONNECT® standard control panels that are quickly configured to your specific application requirements and delivered within two weeks. 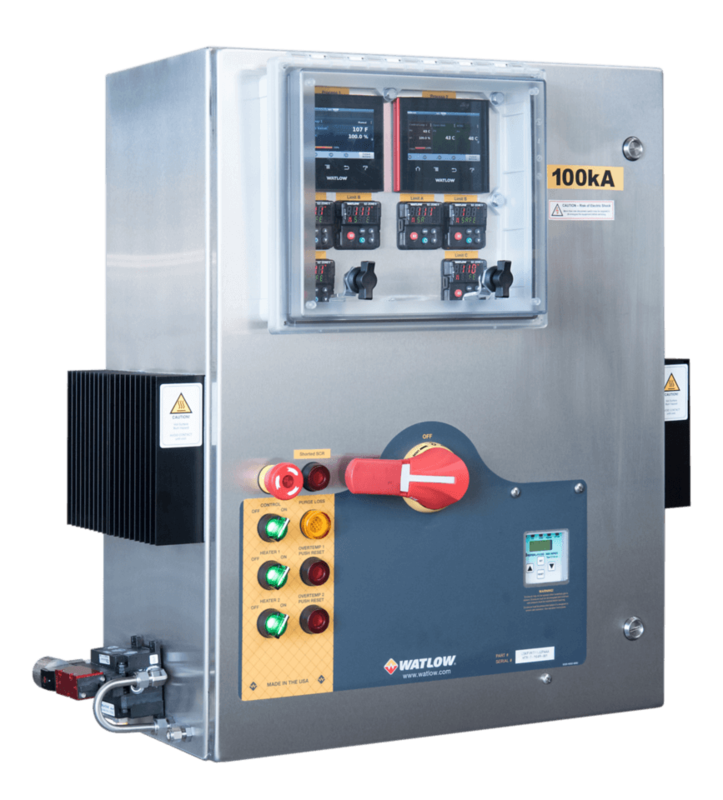 WATCONNECT panels integrate Watlow’s high-quality heater, sensor, temperature controller and power controller products for a complete thermal solution. Normally, competitive custom panels require significantly longer lead times. 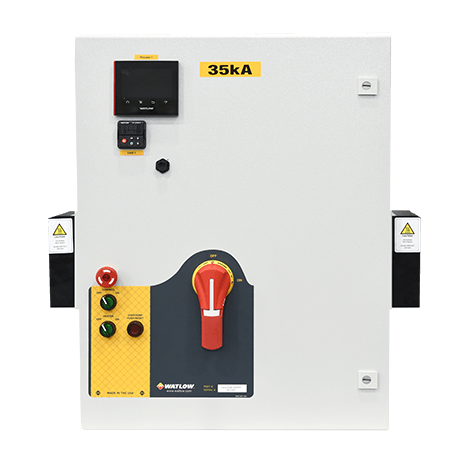 The broad range of standard features allow customers to quickly configure panels that usually would be considered custom for delivery within two weeks. You will be impressed with the speed and ease of specifying, selecting, pricing, ordering and delivery. 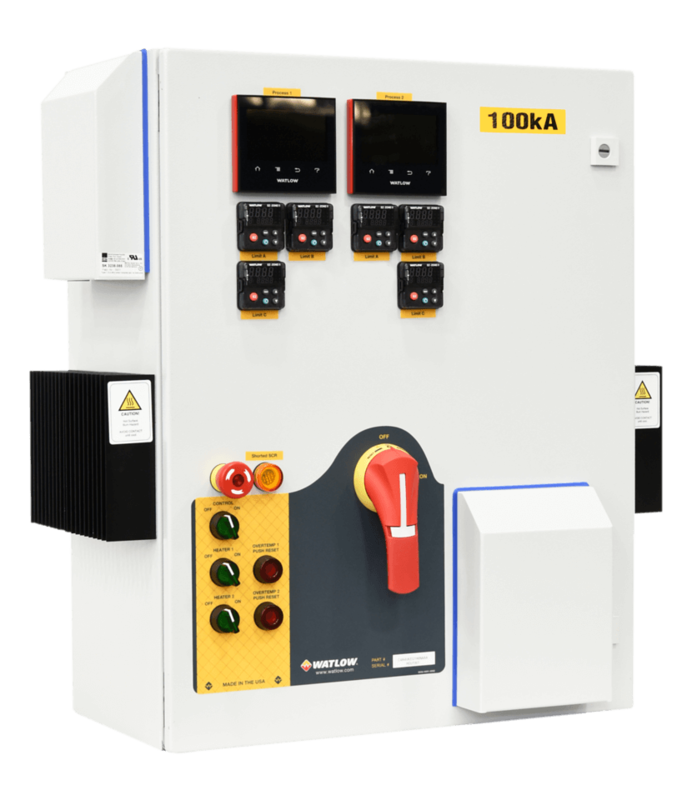 WATCONNECT panels are flexible and scalable; there are thousands of configurable, pre-engineered panel solutions available. Select the picture for a larger view.